3451 Ann Street Lansing, IL. | MLS# 10081446 | Welcome Evers Realty Group, your number one source on the web for NW Indiana Homes for Sale, Chicago South Suburban Homes and Indiana & Illinois Real Estate. 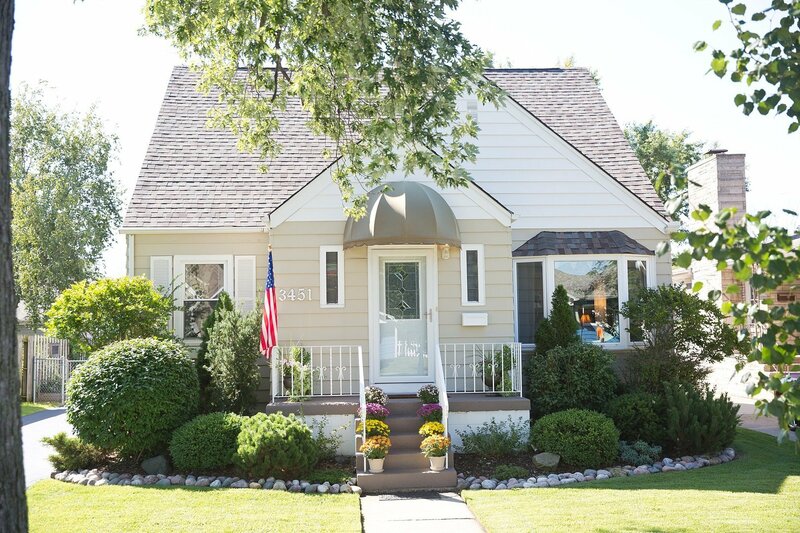 This updated Cape Cod in the desirable Schultz Park neighborhood is a must see. Open concept main floor with huge remodeled (2018), country kitchen with island, living room with hardwood floors, formal dining room (was a 4th bedroom) with hardwood floors, main floor bedroom and remodeled (2017) full bath. 2nd level with huge master bedroom with walk-in closet, 3rd bedroom & remodeled (2016) 3/4 bath. Basement has rec room, laundry/utility and work room. Beautiful fenced back yard retreat with covered 2 tier deck (2015), perennial gardens, wind sail & 2 1/2 car garage. Additional updates include new roof (2018), newer main floor windows (7 yrs.) and new (2018) carpeting on 2nd level. A great location and a great value!